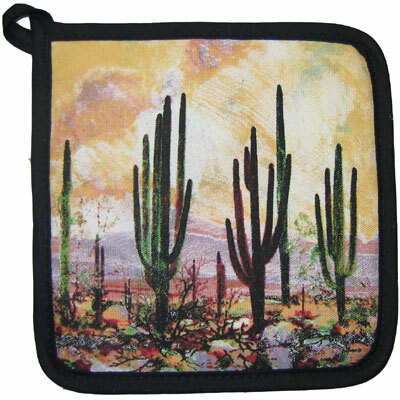 Desert Sunset Potholder - 8" X 8"
Desert Sunset - 8" X 8"
This 8" X 8" potholder is 50%/50% Cotton/ Polyester for easy washing and excellent form retention. The mat depicts a sunset in the Sonoran desert. These potholders are made right here in America.